European Central Bank (ECB) President Mario Draghi delivers a speech during a ceremony to mark the 20th anniversary of the launch of the Euro, at the European Parliament in Strasbourg, France, January 15, 2019. 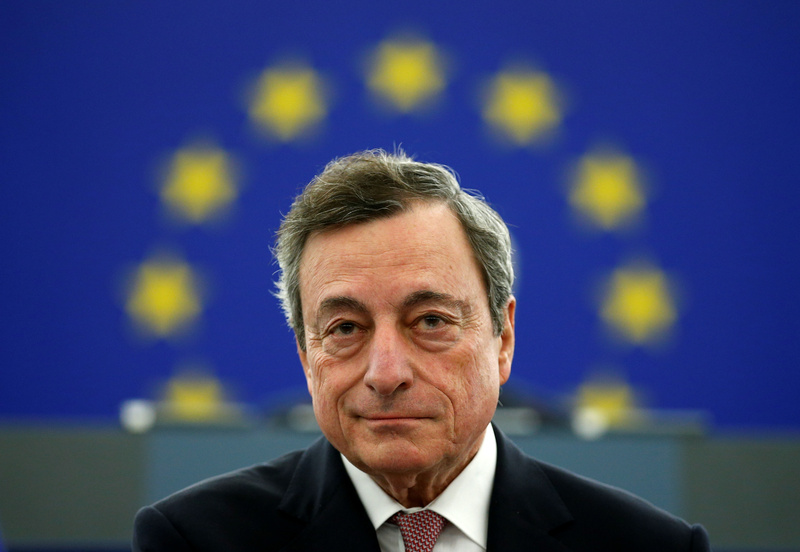 The European Central Bank said on March 7 that it would offer banks new rounds of multi-year loans and that it now expected its policy interest rates to remain at record lows at least through the end of 2019. The central bank said a new series of long-term loans would be launched, beginning in September 2019 and ending in March 2021, each of which would have a maturity of two years. The interest rate on these loans will be indexed to the rate on the ECB’s main refinancing operations over the life of each operation. The euro and euro zone government bond yields fell after the announcements, which had not been expected by traders. The euro was trading at $1.1257 at 1344 GMT, compared with levels above $1.13 before the ECB issued its statement.